Many of us can relate that our skin tends to get a whole lot drier and lack lustre during the winter months. Finding quick remedies, like drinking more water or using illuminating makeup just isn't good enough. That's when you have to go back to where it all begins, which is having a good skincare routine. It's really the key to having beautiful skin during this unforgiving weather and you'll find that your makeup is wearing much nicer too. Here are some products that have been doing wonders for my skin this winter season and I highly recommend them all! 1. 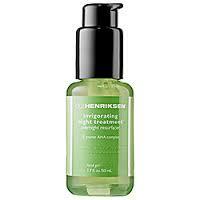 BRIGHTENING SERUM: After cleansing my skin, I use a brightening serum to keep my skin looking awake and healthy. 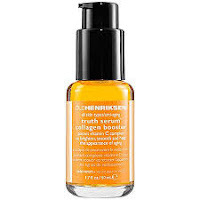 The Ole Henriksen Truth Vitamin C Collagen Serum, not only brightens your overall complexion, but Vitamin C supports the natural collagen in your skin, minimizing fine lines & wrinkles, and keeps it protected throughout the day. This serum is my very favorite and is truly my secret to youthful looking skin. 2. MOISTURIZE: Having a well hydrating moisturizer really helps your skin from feeling dull and tight. I personally like to wear moisturizers that feel light on the skin, staying clear from heavy formulas that look or feel greasy. 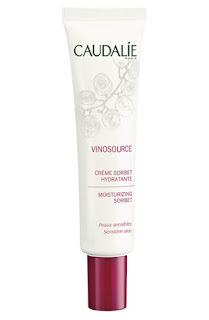 The Caudalie Vinosource Moisturizing Sorbet has been a "holy grail" of mine for 2 years now and I love wearing it all year round. It has a light whipped texture and feels cooling on the skin. I apply it to my face & neck and it leaves me feeling so refreshed. I can't recommend this enough! 3. 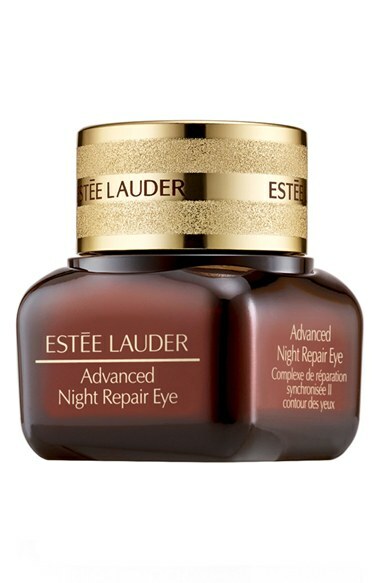 EYE CREAM: During the winter, I find that my under eye area really suffers and fine lines start to peek through. I have been on the search for the perfect eye cream and finally found my new favorite, which is Estee Lauder's Advanced Night Repair Eye Gel. The gel like texture of this product is very soft, different than your traditional creams, but it feels amazing under my eye area. It really has helped with fine lines and my dark circles, which have been a major concern of mine. I apply this both day and night and it's gentle enough for those who experience sensitivity around the eye area. Before I found this, I used an expensive eye cream by Amore Pacific, which I did like a lot, but for $58, I prefer this far more and have gotten better results. 1. 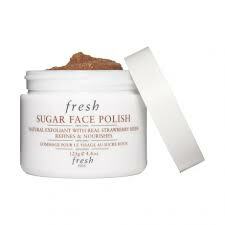 EXFOLIATE: Face scrubs or polishes are great for rejuvenating your skin, through exfoliation, while adding hydration. This face polish by Fresh works amazingly well on my sensitive skin and my face is left baby soft and well hydrated. It contains brown sugar and strawberries, so it smells so divine. Use this twice a week at night and you're good to go. You have to try this - seriously! 2. REJUVINATING SERUM: Use a night serum that helps to repair your overall skin complexion, while you're getting your beauty rest. There are a couple that I have in rotation, but my absolute favorite is Ole Henriksen's Invigorating Night Treatment. It does exactly as it says, by diminishing fine lines & wrinkles, helping with cell turnover, minimizes my pores, and leaves me looking radiant in the morning. It also evens out my skin tone and I'm surprised how well I look when I wake up in the morning. There is somewhat of an odd scent to this, but it dissipates once it is completely absorbed into the skin. 3. FACE OIL: This is the time of the year where I really use face oils at night. They seem to really hydrate the skin well, leaving it feeling soothed and calm at the same time. 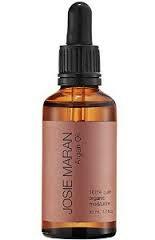 There are two that I really enjoy using, which are the 100% Argan Oil by Josie Maran and the Midnight Recovery Concentrate by Kiehl's. I like to give myself a gentle facial massage with these oils, which promotes youthful looking skin - a little trick I got from celebrity makeup artist Lisa Eldridge. A Helpful Tip: To get the best results from all your skincare, I recommend waiting until one product is completely absorbed into the skin before moving onto the next product. This allows each treatment to work its way into the skin, rather than having it sit on top of your face. With Valentine's Day just a few days away, why not treat yourself to a few skincare goodies. Give them a try and let me know what your favorite skincare product's are! 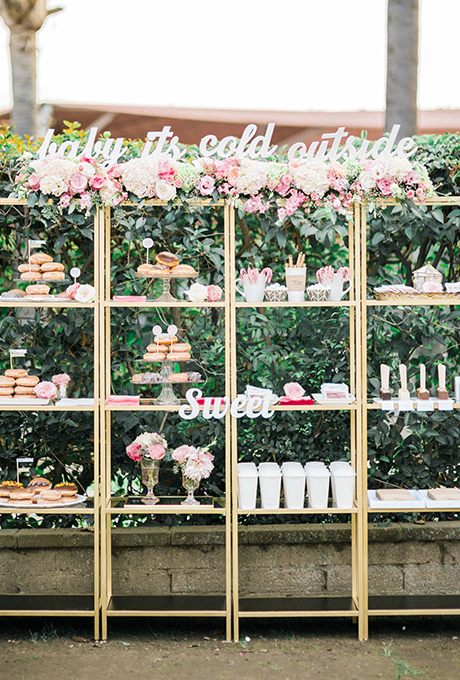 Everyone loves a good dessert table, from children to grown-ups alike. Let's face it, with an amazing assortment of candies, cakes, and sweet treats, what's not to love! 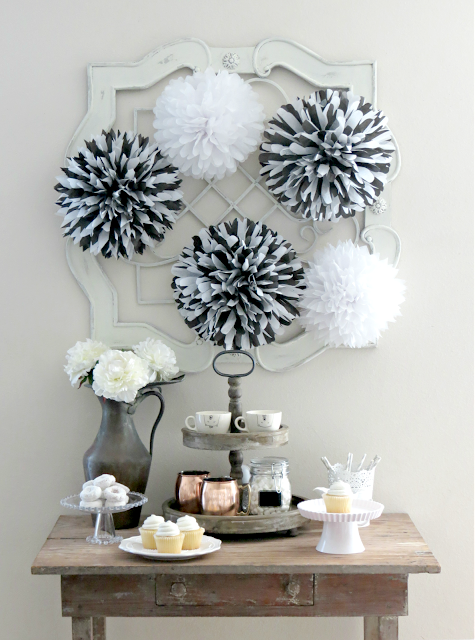 They have really become a "must have" at any gathering and it's a display that you can really get creative with. 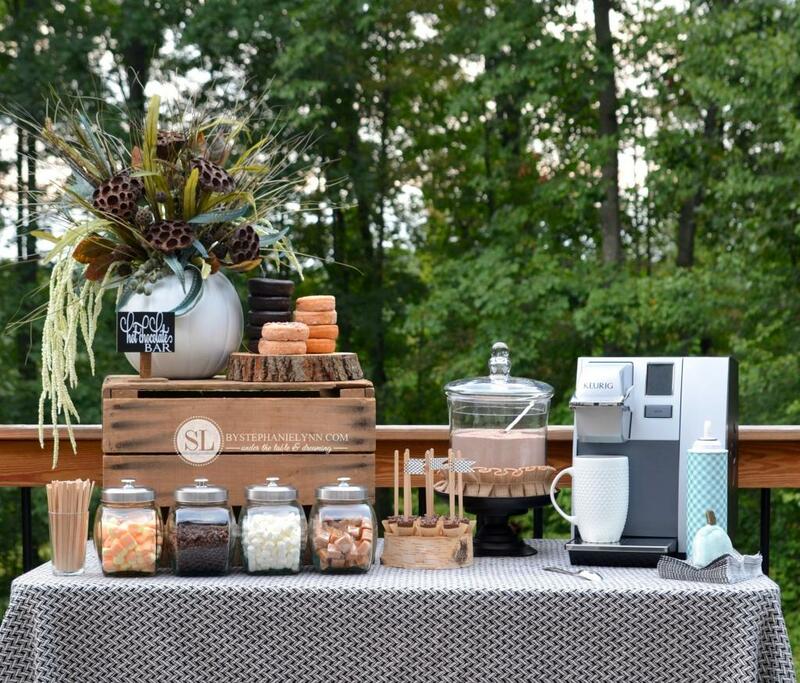 A dessert table that I've been fancying over lately is the Hot Chocolate & Coffee Bar! Believe me, this is one worth chatting about and this is why. This idea first started when I was hosting my son's birthday bash this past October. 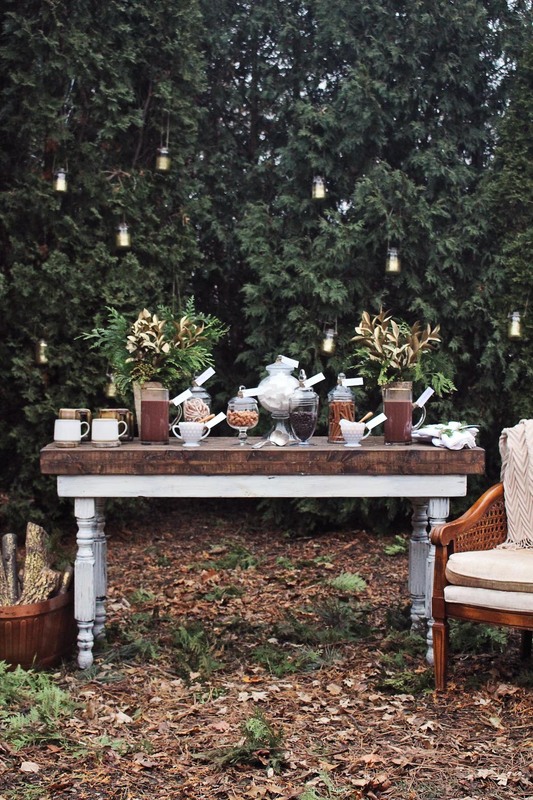 It was a rustic themed outdoor event and I was thinking of a creative way to entertain our "grown-up" guests, while the kids were off playing. Since I really enjoy great conversation with friends over a cup of coffee, I thought why not have a self-service Hot Chocolate & Coffee bar that everyone could enjoy. It ended up being a huge success and all our guests LOVED it! The parents made coffee at their leisure, using the Keurig we set up. We provided flavored coffee and creamers, along with various sugars to choose from. The kiddos loved it just as much and they had fun adding mini marshmallows to their hot chocolate, with help from the grown-ups (of course). I assure you that your guests will be delighted by this creative and clever "dessert" table and it is sure to gain much popularity! Here are a few Hot Chocolate & Coffee Bars to spark your interest. 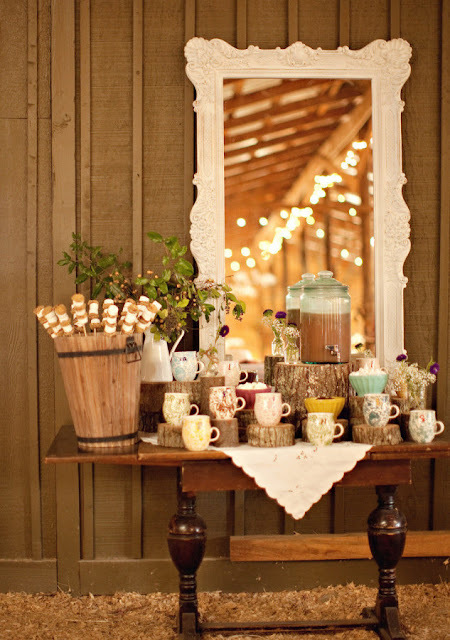 Display a cute selection of mugs for your guests to choose from. It makes hot chocolate and coffee even more enjoyable to drink. 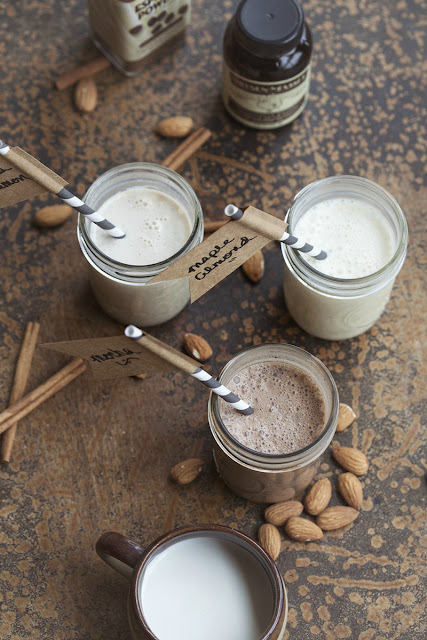 Offering a variety of toppings makes it fun for your guests to add flavor to their hot beverages. Mini chocolate chips, sprinkles, small caramel squares, and cinnamon sticks are all delicious options to serve. Don't forget the whipped cream! Be creative with your display. You can make your table as simple or as decorative as you'd like. Add pretty flowers, colorful donuts, petite macaroons, and other sweet treats for your guests to enjoy with their coffee. 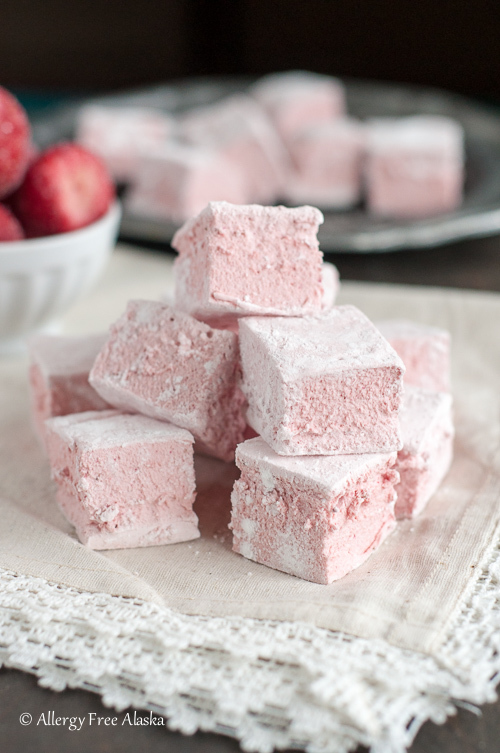 To make things even more special, try hand making a couple of goodies, like marshmallows or flavored creamers. Your guests will really appreciate the extra thought and it makes your dessert table all the more unique. Click on the links under the photos and it will send you directly to these enticing recipes. I hope you love this creative dessert table as much as I loved writing about it! Have a great week friends!